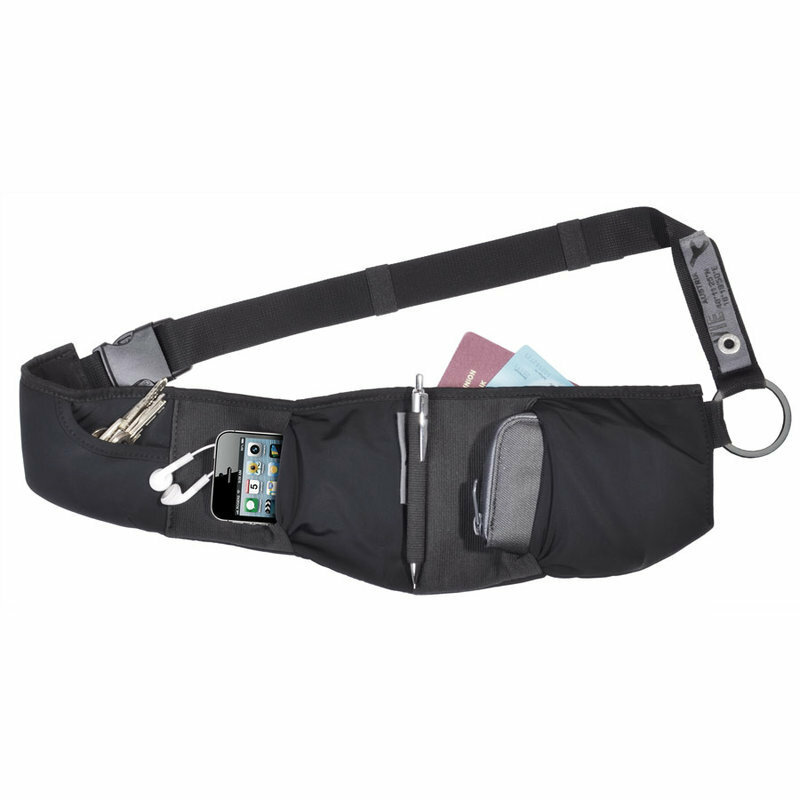 A compact handbag, halfway between a shoulder bag and a fanny pack, CaseBelt can be worn either around your waist or over the shoulder, leaving your hands, shoulders and arms free. 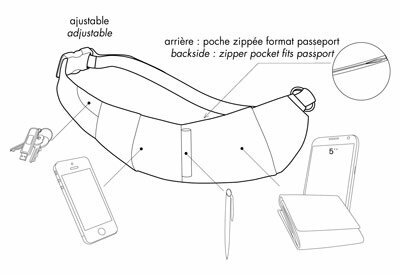 Not at all cumbersome, especially if you are like to go out with just your mobile phone, you keys and your wallet, CaseBelt is very flat and can easily be hidden under a sweater or a coat. 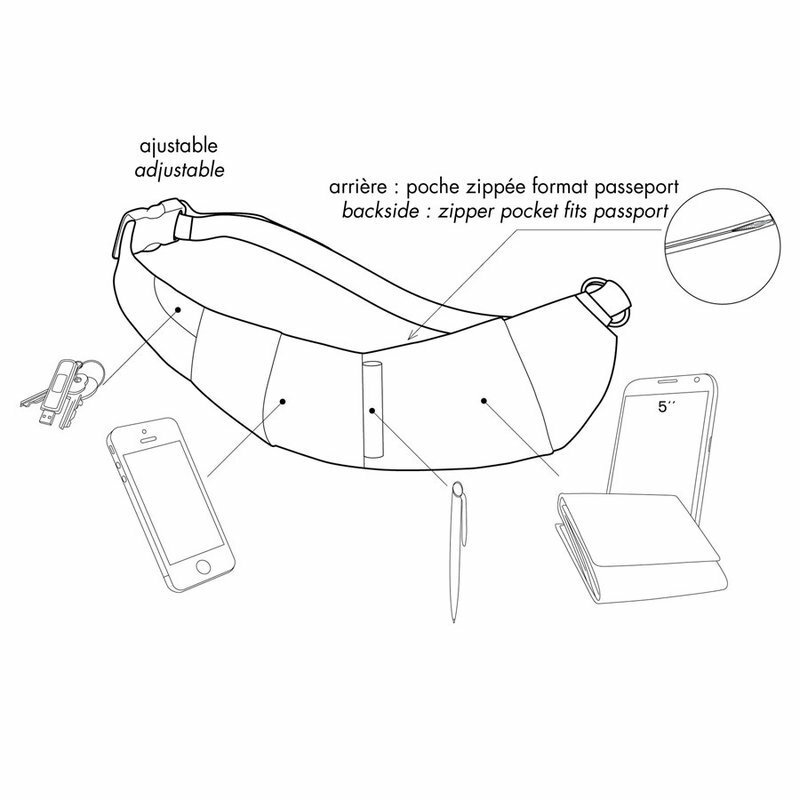 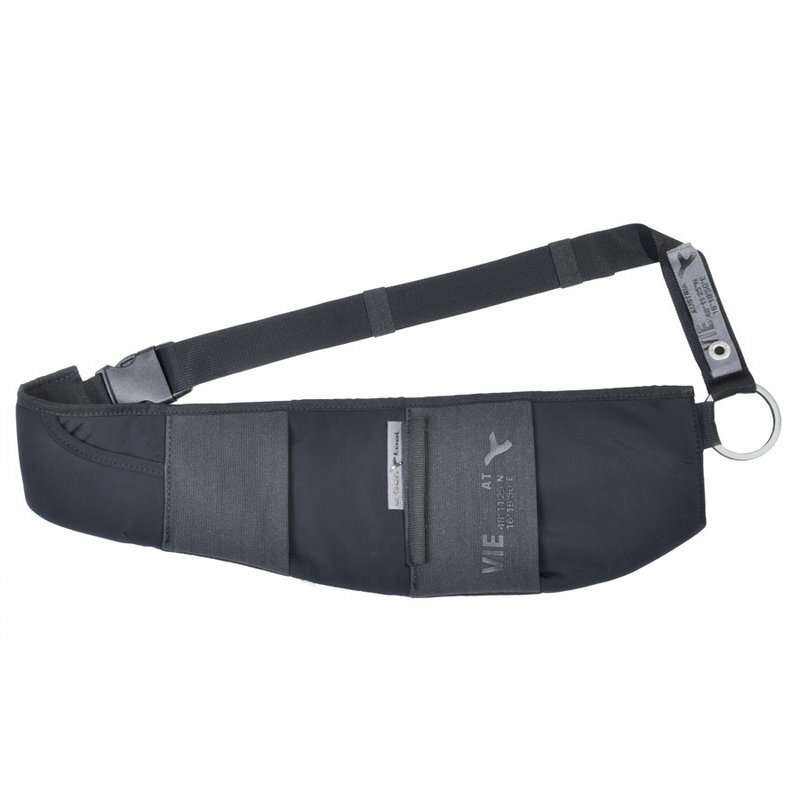 Made out of a material that is both flexible (80% polyamide, 20% lycra), solid and water resistant, the fanny pack/shoulder bag CaseBelt is completely different from other bags on the market: neither handbag nor fanny pack, ultra-flat and ultra-light, here is a real alternative to classic hip bags or hand bags. 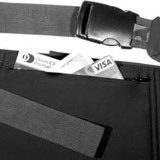 In the back (next to your body) it has a virtually invisible zippered pocket where you can cash or a credit card. In front, the closures ensure that your valuables stay safe and sound, while at the same time allowing you easy access. 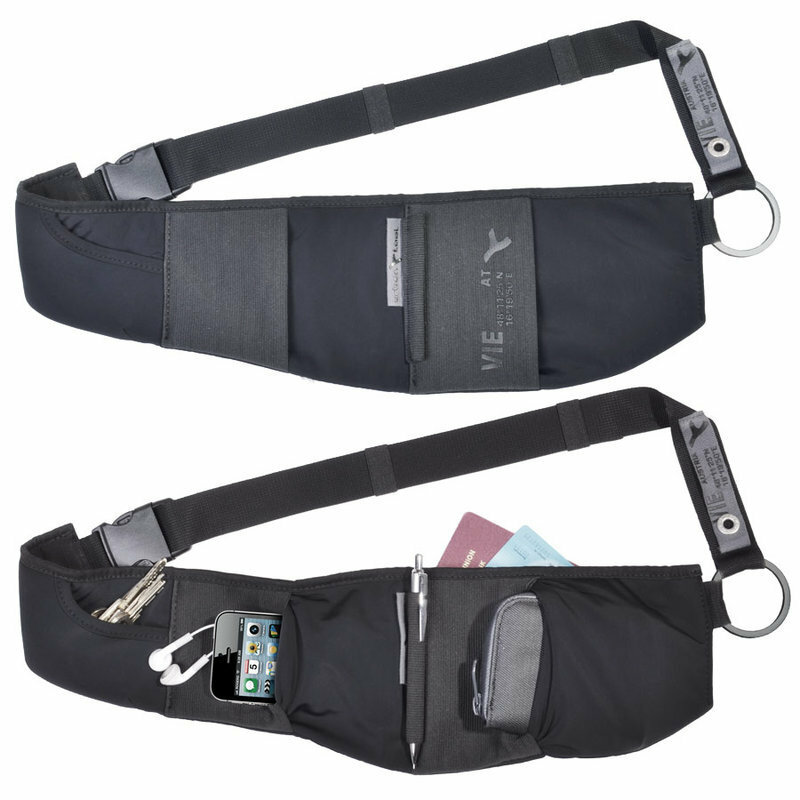 The key pocket has a spring loaded yoyo cable that securely holds a key chain. 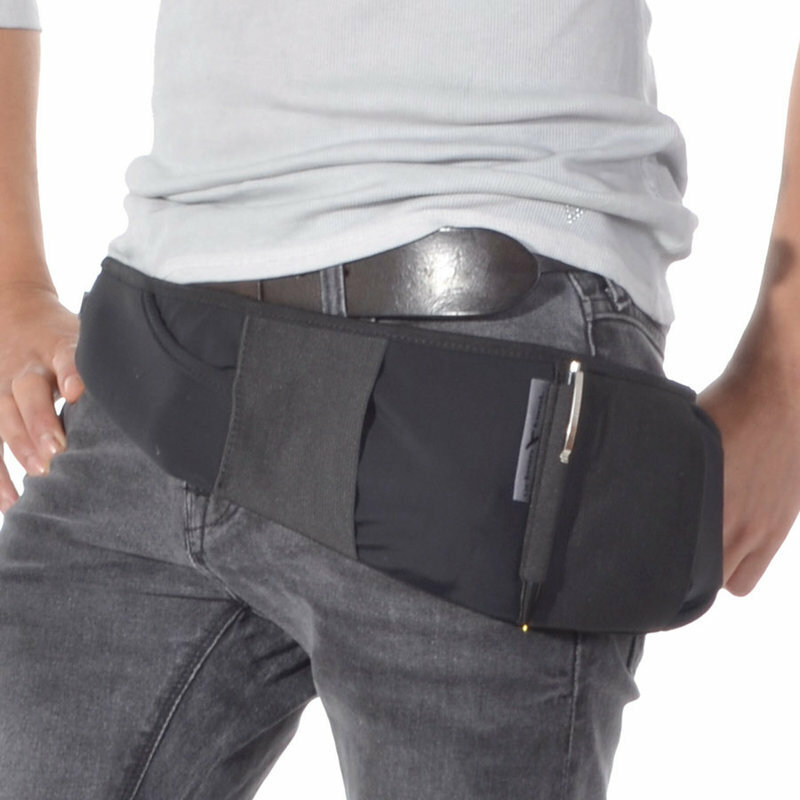 Thanks to you cable, you don't have to detach your keys each time you use them, all you have to do is pull it out and then let it roll back up and then slide your keys into the pocket.